Originally published in Idaho Statesman March 25, 2017. National forests across the West are facing dire threats from politicians, the timber industry and the U.S. Forest Service. The public is being misled into thinking that our forests are “unhealthy” and that they need to be “restored” due to “beetle infestations” and “insect and disease.” All of this is euphemism to drastically ramp up logging. America’s national forests are not unhealthy. Some people may want forests to look a certain way, but that desire or perception ignores scientific research, which suggests that fungi, bacteria, insects, disease and wildfire are key components of forest function and resiliency. If you want a healthy forest, these natural processes must be allowed to play out. Efforts to “thin the threat” and use thinning for “fire hazard reduction” across Western landscapes is largely unsubstantiated in scientific literature. Recent studies suggest forests with stands of “dead trees” are at no more risk of burning — and possibly less — than thinned forests. Dead trees generally burn more slowly because they do not have oil-rich needles or resins. To the contrary, thinning “live trees” places fine fuels like needles and cones on the ground, and opens the forest canopy to greater solar penetration and wind, resulting in overall drier forest conditions and flammability. The Forest Service is currently identifying “priority areas” on the national forests that need to be treated (read: logged). 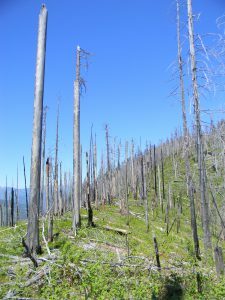 A provision of the 2014 farm bill gives the agency the ability to expedite logging projects, including in roadless areas, designed to reduce fuels and prevent the chance of “uncontrollable wildfires.” Public involvement is simultaneously being minimized, and robust environmental analysis is being short-changed. Fire frequency and intensity in the West are predominantly climate- and weather-driven. An overwhelming amount of scientific evidence shows that drought, warm temperatures, low humidity and windy conditions drive wildfire intensity. 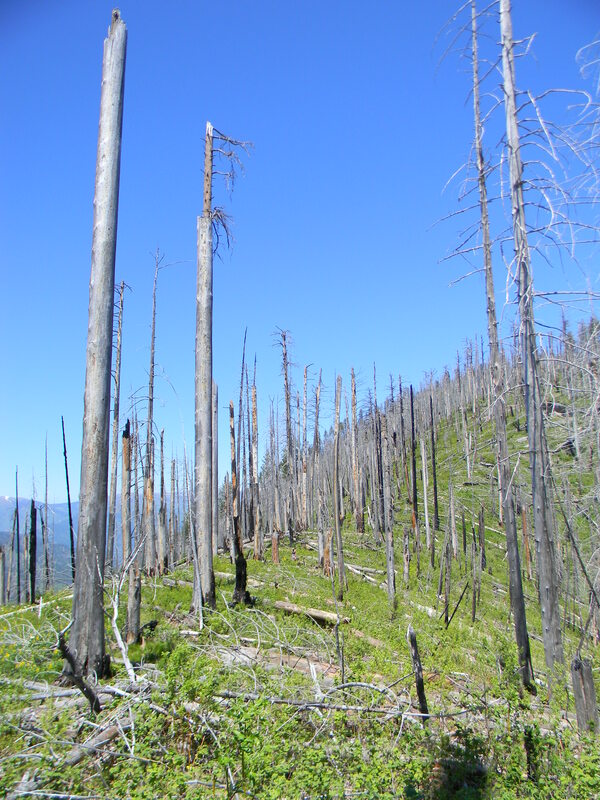 Tree density and beetle infestation do not drive fire intensity and behavior. Building roads and logging in postfire landscapes is also unnecessary and harmful. “Salvage logging” impedes forest succession, can increase soil erosion, and impairs streams, fish habitat and water quality. Scientists are discovering that “snag forests” are one of the most biologically rich and diverse habitat types, rivaled only by old growth. Politicians and the timber industry are assaulting America’s national forests. Managed forests are neither healthier nor more resilient to wildfire. The real catastrophe is that the forest service continues to lead its century-old war on wildfire by supporting commercial logging and fire suppression to the detriment of American taxpayers and forest ecosystems. Brett Haverstick is the education and outreach director of Friends of the Clearwater, a public lands advocacy group in north-central Idaho.